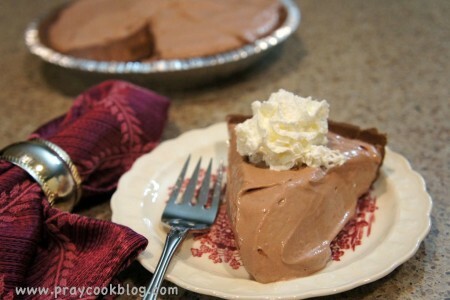 With Valentine’s Day next week wouldn’t it be lovely to make a chocolate pie to share with those you love? How about a chocolate pie that is fast and easy? How about 58% less fat and 33% fewer calories than the original recipe? Now am I talking your love language? 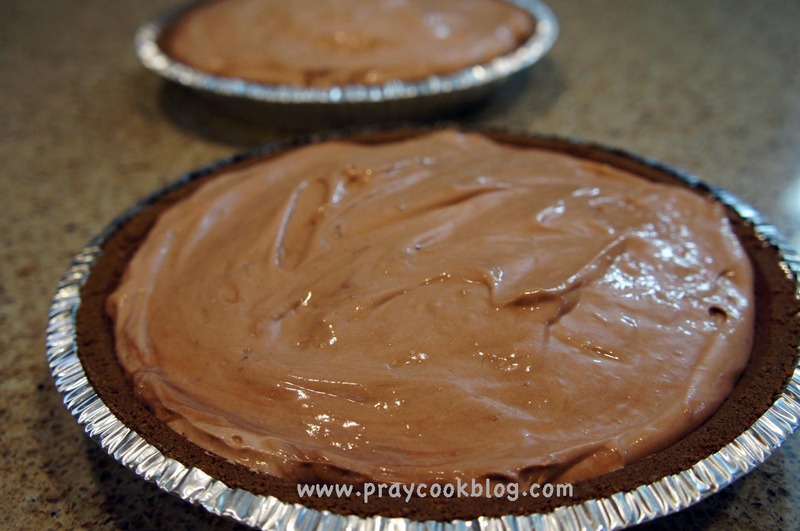 The recipe can easily be doubled to serve a crowd, or have one pie for home and one to take to work! It is so easy to mix up the fat-free, sugar-free pudding. If you haven’t ever tried it, you should. It is surprisingly rich and luscious. Quite often I will just make the fat-free, sugar-free pudding, top with a dollop of whipped cream and dessert is ready! This pudding is combined with softened cream cheese and vanilla. Once it is mixed well the whipped topping is beaten in with the electric mixer. By now there will be a line forming to see who gets to lick the beaters. The pie needs to chill from 4 to 24 hours before serving. I actually hurried the process and didn’t have quite 4 hours before serving but the slices still cut pretty well. Top with raspberries, chocolate shavings and a dollop of whip cream for the crowning touch! This incredibly delicious pie will never give away the secret that it is actually a healthified recipe, light on fat and light on calories! Enjoy with someone you love. 58% less saturated fat and 33% less calories than the original recipe. 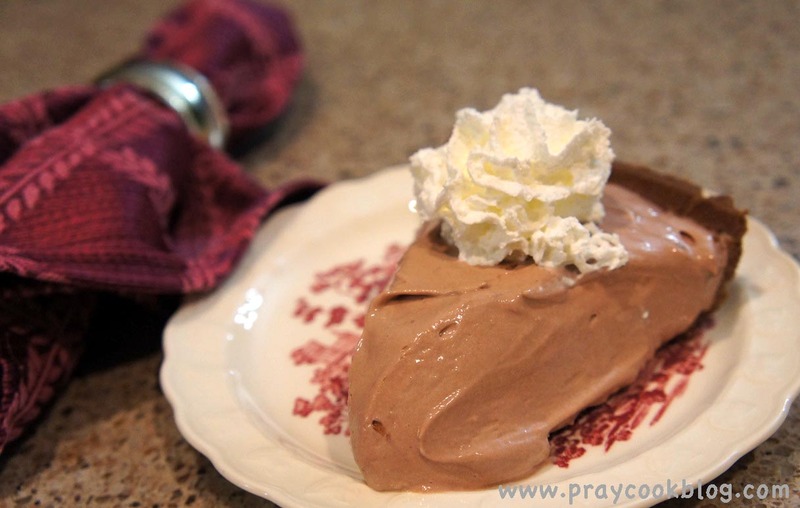 A luscious dessert for just 160 calories per serving! 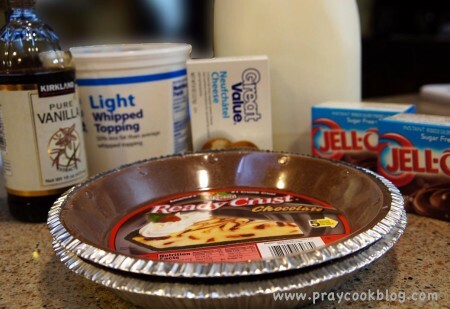 In a medium bowl, prepare pudding mix according to package directions using 1¾ cup milk. Stir in vanilla; set aside. Place cream cheese in a large microwaveable bowl. Microwave, uncovered , on high for 15 seconds, stir. Beat cream cheese with an electric mixer on medium speed for 30 seconds. 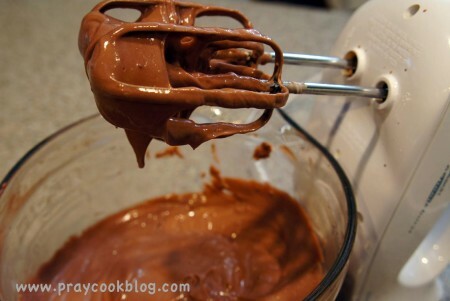 Add half of the pudding mixture; beat until smooth. Add in remaining pudding mixture; beat until smooth. 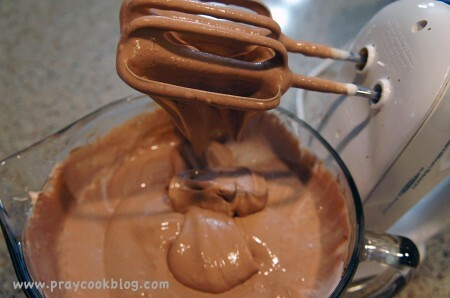 Fold in half of the whipped topping. Spread mixture into pie shell. Chill 4 to 24 hours or until set. Top individual servings with remaining whipped topping, raspberries and grated chocolate.